← Jupiter/Uranus meets “the Mutable Babe from Hell”! This entry was posted in 4. 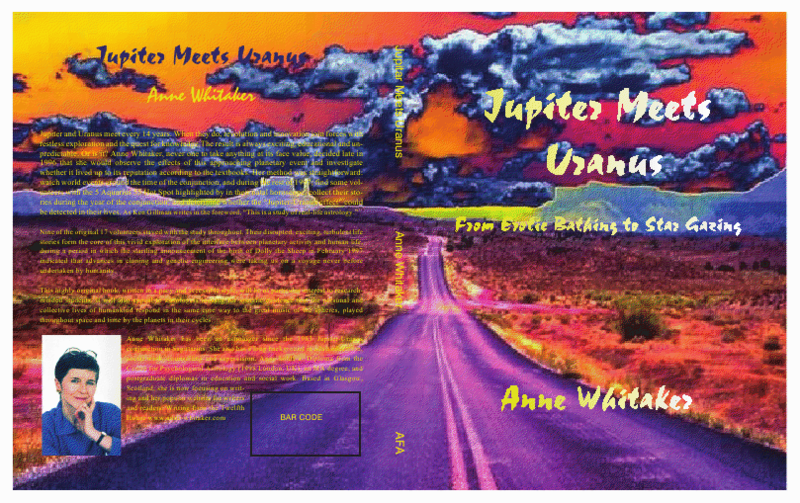 Reviews: "Jupiter Meets Uranus" (published AFA 2009) and tagged "Jupiter meets Uranus", 'Peat Bog Man', 1997 Jupiter-Uranus conjunction in Aquarius., 9th house, Amazon.co.uk, Anne Whitaker, Aquarian Moon, cycle of Neptune, Dolly the Sheep, Jupiter Uranus conjunctions, Jupiter/Uranus conjunction 2010/11, Lua Astrology - Navigation by the Stars, mundane astrology, the cycles of the collective planets. Bookmark the permalink.